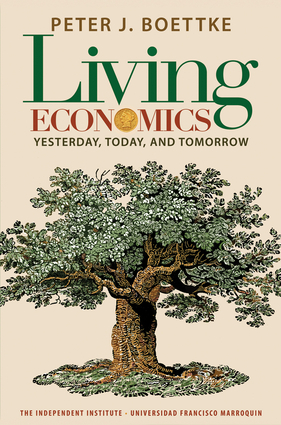 A great supplemental text for the teaching of economics, this book offers a clear perspective and a passion for a deeper understanding of the subject. Economics is not merely a game to be played by clever professionals, but a discipline that touches upon the most pressing practical issues at any historical juncture. The wealth and poverty of nations is at stake; the length and quality of life turns on the economic conditions individuals find themselves living within. Touching upon a variety of subjects—including market socialism, political economy, and economics education—this reference contains the wisdom of an expert in the field. Peter J. Boettke is a research fellow at the Independent Institute, a professor of economics at George Mason University, and the editor of the Review of Austrian Economics. He is also the recipient of the Golden Dozen Award for Excellence in Teaching from the College of Arts and Sciences at New York University and the author of several books, including Calculation and Coordination: Essays on Socialism and Transitional Political Economy; The Political Economy of Soviet Socialism: The Formative Years, 1918–1928; and Why Perestroika Failed: The Economics and Politics of Socialism Transformation. He lives in Fairfax, Virginia.